Oprah’s Book Club 2.0 announced today its newest selection, RUBY by Cynthia Bond (Hogarth). This debut novel, first published in hardcover last spring, will be issued in a special paperback edition bearing the OBC 2.0 logo on February 10. The cross-platform book club’s fourth selection kicks off with Winfrey’s interview with Bond in the March issue of O, The Oprah Magazine (on sale nationwide February 17). Additionally, Harpo Films announced today that it has optioned the film and television rights to RUBY. Bond draws upon her own experiences and the heartbreaking tales she’s heard through the years working with homeless and at-risk youth, to create the unforgettable story of Ruby Bell, a beautiful girl born from tragedy who suffers horrors and fights against her personal demons in Liberty Township, TX. RUBY was a Barnes & Noble Discover Great New Writers selection and was chosen as an Indie Next Pick by independent booksellers throughout the U.S. when it was released in 2014. ”There are dreams that you keep hidden—secret hopes locked away. Learning that my novel had been chosen to be in Oprah’s Book Club burst open that door—I just wept. I worked for over ten years, writing, editing, rethinking, and creating what would become three books. RUBY is the first. Ms. Winfrey has changed the course of my life—as a writer, as a mom, as an advocate for children’s rights and I will be forever grateful,” said author Cynthia Bond. In addition to being available in bookstores nationwide, special Oprah’s Book Club 2.0 digital editions of RUBY, with exclusive content including a reader’s guide and Winfrey’s notes on her favorite passages, will be available for Amazon Kindle, NOOK® by Barnes & Noble, on the iBookstore and everywhere e-books are sold. 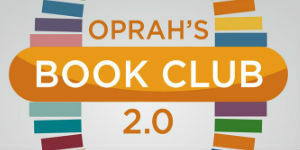 Oprah.com will feature a reading guide as well as Winfrey’s personal thoughts about her favorite passages from the book. Readers will also have the opportunity to join the conversation via Twitter, Facebook and Instagram. A stream of reader tweets (#OprahsBookClub) and Instagram photos from around the world will provide a snapshot of what participants are thinking, feeling and sharing as they read the book together. The official Oprah’s Book Club 2.0 group on Goodreads, one of the largest websites for book lovers with 30 million members, will feature content and encourage discussions about the new book club selection. 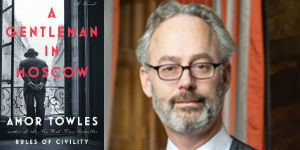 (Goodreads.com/OprahsBookClub). CYNTHIA BOND, a PEN Rosenthal Fellow, has taught writing to homeless and at-risk youth throughout Los Angeles for more than fifteen years. Her novel, RUBY, was a Barnes & Noble Discover Great New Writers selection, and was chosen as an Indie Next Pick by independent booksellers throughout the U.S. O, The Oprah Magazine says, “Cynthia Bond proves to be a powerful literary force, a writer whose unflinching yet lyrical prose is reminiscent of Toni Morrison’s.” Bond attended Northwestern University’s Medill School of Journalism, then moved to New York and attended the American Academy of Dramatic Arts. She founded the Blackbird Writing Collective in 2011. At present, Bond teaches therapeutic writing at Paradigm Malibu Adolescent Treatment Center. A native of East Texas, she lives in Los Angeles with her daughter. In June 2012, Oprah Winfrey reintroduced her popular book club as an interactive, multi-platform reading club that harnesses the power of social media, bringing passionate readers together to discuss inspiring stories. After being selected as the club’s inaugural book, Wild by Cheryl Strayed (Knopf) returned to the top of the New York Times Best Sellers list and spent six consecutive weeks at #1. It was also made into a motion picture starring Reese Witherspoon. The club’s second pick, The Twelve Tribes of Hattie by Ayana Mathis, was on the New York Times Best Sellers list for 10 weeks. The third book selected, The Invention of Wings by Sue Monk Kidd, made its debut at #1 on the New York Times Best Sellers list and was Amazon’s bestselling book of 2014. RUBY by Cynthia Bond is the book club’s fourth selection. Harpo Films, Inc. produces acclaimed feature films and scripted television programming. Recent features include the Academy Award nominated ”Selma” starring David Oyelowo and Golden Globe nominated ”The Hundred-Foot Journey” starring Helen Mirren. O, The Oprah Magazine (oprah.com/omagazine) encourages confident, intelligent women to reach for their dreams, express their individual style and live their best lives. With an emphasis on personal growth, the magazine informs and inspires, addressing every aspect of a woman’s life and deeply connecting with more than 15 million readers every month (MRI, 2011 Doublebase). In May 2012, O, The Oprah Magazine won the publishing industry’s highest honor, the American Society of Magazine Editors (ASME) award for General Excellence. O, The Oprah Magazine is available on Zinio, Barnes & Noble Nook, Amazon Kindle and Flipboard, and its namesake iPad app is available on the App store at www.itunes.com/appstore. Follow O, The Oprah Magazine on Twitter @O_Magazine. O, The Oprah Magazine is a co-venture between Harpo Print, LLC and Hearst Magazines, a unit of Hearst Corporation, one of the nation’s largest diversified media and information companies. With 21 titles in the U.S., Hearst is the leading publisher of monthly magazines in terms of total paid circulation (AAM 1H 2014) and reaches 80 million adults (Fall 2014 MRI gfk). Hogarth is an imprint of The Crown Publishing Group, a division of Penguin Random House, LLC. Penguin Random House (https://global.penguinrandomhouse.com/) is the world’s most global trade book publisher. It was formed on July 1, 2013, upon the completion of an agreement between Bertelsmann and Pearson to merge their respective trade publishing companies, Random House and Penguin, with the parent companies owning 53% and 47%, respectively. Penguin Random House comprises the adult and children’s fiction and nonfiction print and digital trade book publishing businesses of Penguin and Random House in the U.S., U.K., Canada, Australia, New Zealand, India and South Africa, and Penguin’s trade publishing activity in Asia and Brazil; DK worldwide; and Penguin Random House Grupo Editorial’s Spanish-language companies in Spain, Mexico, Argentina, Uruguay, Colombia, and Chile. Penguin Random House employs more than 10,000 people globally across almost 250 editorially and creatively independent imprints and publishing houses that collectively publish more than 15,000 new titles annually. Its publishing lists include more than 70 Nobel Prize laureates and hundreds of the world’s most widely read authors.